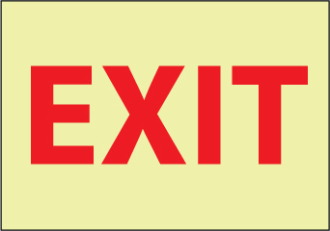 Red and yellow “Exit” sign. Made from PS Vinyl. Size: 7.00x10.00. For indoor use only.